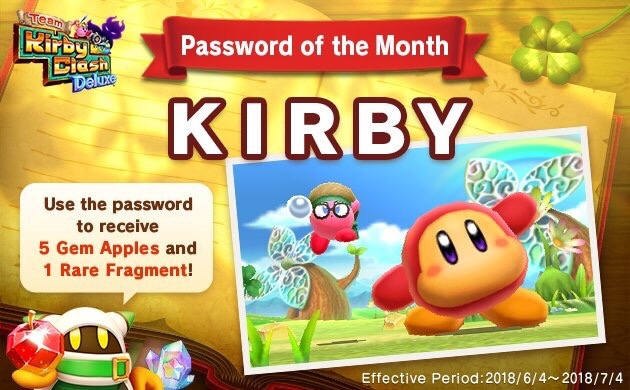 In the first English translated tweet from Kirby JP, they have begun sharing monthly distribution codes for Team Kirby Clash Deluxe. Use Code: Kirby for 5 Gem Apples, & 1 Rare Fragment. These codes will range from giving you Gem Apples to Rare Fragments for your Team Kirby Clash Deluxe game. This first distribution will only be available from June 4th- July 4th.